A graduate member of the Tomahawk High School Class of 1982 participating in football, basketball and baseball and earning a total of nine high school varsity letters. Jeff's outstanding athletic ability put him in an elite class during his junior and senior years. In football, he was a First Team Lumberjack Conference and Channel 7 All-Star selection as a junior and senior. During his senior year; he also was selected to the All-District Team and was acknowledged as a member of the Second Team All-State. During Jeff's senior year in basketball he was selected as a member of the Lumberjack Conference First Team and a Channel 7 All-Star. In baseball, Jeff was a three year starter. He was selected to the Lumberjack Conference First Team his junior year as a pitcher. As a senior he was selected to be Lumberjack Conference First Team and named Player of the Year. Jeff was selected to the Second Team All-State as a shortstop and was also named to the All-District Team. After graduation, Jeff attended and played basketball at Northland College for two years. Both years, he was named the Most Valuable Player. 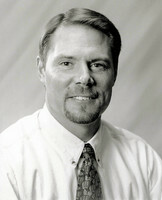 Jeff then transferred to UW-Stevens Point where he was a two year starter and was part of the Wisconsin State University Conference Championship teams of 1985 and 1986. Jeff graduated in 1988 with a degree in Forestry Administration. He has worked as an Appraisal Assistant and Technical Services Forester at Steigerwaldt Land Services, Inc. Jeff has also been a Tomahawk High School boys basketball varsity assistant coach for the past four years.